What is Bing search engine and how its important for SEO? Google is dominating the search engine with the maximum number of people using the platform to find answers to their queries. But, the Microsoft is not far behind as it offers its own search engine with several features. The Bing relaunched in 2009 opens a new chapter in the Microsoft’s attempt to fight the dominance of Google. Though the Bing has gained market share, it is considerably lower than the Google and Yahoo search engine. But, the Bing search engine has taken steps to makes its relevance and presence known. Many businesses focus on SEO with only the Google platform in mind, but a solid SEO strategy focuses on Bing as well. 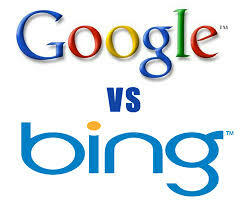 The Yahoo and Bing combine together have more than 30% market share that will increase in future. So, focusing on the Bing SEO can help the business reach wider audience and rank on Google as well as Bing. Adding Bing to a business’s SEO strategy can offer gains as the peers may not focus on the search engine, so it will give a distinctive edge for the business. By not overlooking the Bing, businesses can target a wider audience that will attract more traffic. Many marketers only focus on the Google due to its large share of the overall web traffic. By including Bing, the small business can get an increased Return On Investment (ROI) on the organic search efforts. Bing has a much shorter time to see the results of the SEO practices compared to the Google as only a few pages compete for the top position in the search engine results. The companies looking for a swift and prompt results on their SEO can opt for the Bing. Google PPC is opted by the companies or business to increase the traffic as the Google AdWords can attract more people to the site. But, the budget required to implement a successful PPC campaign is high as all the companies are adopting the technique to rank higher on Google. The Bing provides a cheaper PPC alternative as it has low search traffic. The businesses who cannot pay the exuberant amount of money for the PPC ad can opt for Bing as the affordable packages can provide a good presence to the businesses. Bing is open about the factors that require attention on a site to improve its rankings. Bing does not reveal finer details of its algorithm like the Google. But, compared to Google it is more transparent about the factors influencing the rankings on the search engine. It provides the SEO reports to the experts along with the SEO Analyzer that can assess the webpage of a business site against the fifteen best SEO practices. The on-demand tool generates a compliance report. It is highly helpful in providing the businesses good suggestions and guidance to improve the ranking. Bing offers Bing Places for Business that strives to increase the local visibility of a website. It is similar to the Google My Business (GMB) as it contains the vital information like the contact information, physical address, website link, opening hours, and photos to gain the attention of the audience. Bing offers the agency dashboard features that is a delight to work with the digital marketing agencies. It allows the businesses to manage multiple places of the business listing from one place. So, it is quicker and easier to run the local search campaigns. The feature is not available with the Google My Business. The Bing is underrated and underused as it is not as popular as Google. But, Bing has the features to make a website popular on the digital space without spending more money. Source:- What is Bing search engine and how its important for SEO?